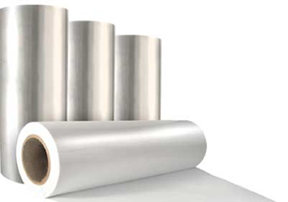 These machines use heat sealable printed laminated roll stock for making filled pouches in different formats; three side sealed with bottom fold or four side sealed. These may be with tear notches, slots for hanging or zippers. The machine is ideal for low weight packs (<30 g/ml). It holds the laminate roll and folds the laminate which is pulled to subsequent stations. Here the folded laminate is sealed from bottom as well as sides. Thus, the laminate is converted into a pouch. The pouch opening mechanism operates in the direction of film travel, inside the folded web, to keep the pouch open, for easy entry of the product feeding chute to insert the product in the pouch. Here the filled pouch is sealed at its mouth, cut from the web and is placed in the delivery conveyor or drop off chute. These are housed in a panel. All the operations and drives are controlled through a PLC and all the parameters are set / monitored through the HMI. All the heaters are also controlled by the PLC through solid state relays with display on the HMI. All the alarms are also displayed on the HMI. This is a compact machine, requiring less floor space. 1. The straight horizontal flow through design of the HFFS machine allows the operator to see all stations, at a glance, from the operator side. 2. The HFFS machine can make pouches, depending upon pouch width, in simplex or duplex operation. In case of duplex operation, one can have perforations between the two pouches. Also, it is possible to have the pouches connected in a string. 3. 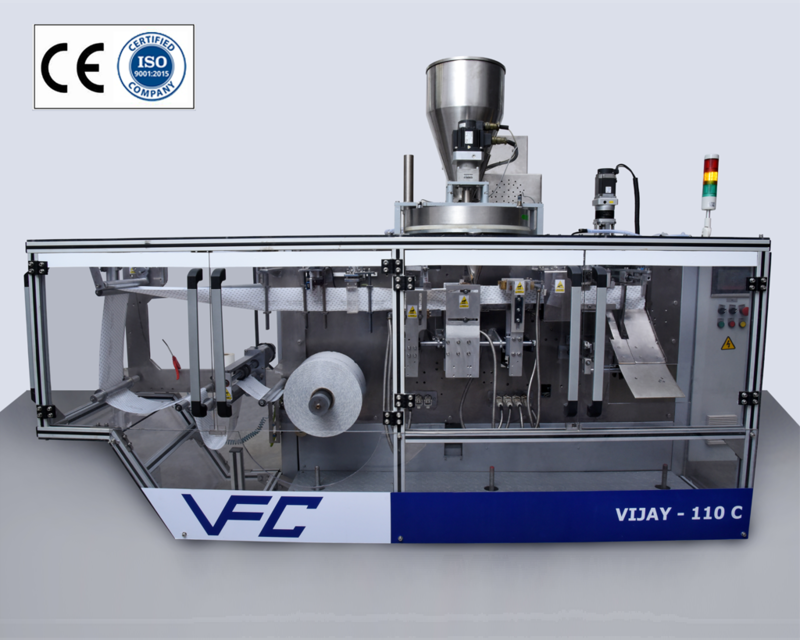 In the HFFS machine, one can change the pouch size (width), in the given range of the machine specification, simply, by changing the machine settings. 4. With special attachments, the HFFS machine can also be used for making packed pouches with tear notch, re-closable zippers, slots / rounds for hanging the pouches. 5.The HFFS machine prevents contamination of the seal area as the filler enters inside the open pouch before dispensing the product. 6.Machine interlocks, such as “no bag no fill” and “no product no bag feed”, are provided to avoid wastage and downtime for cleaning. The operator is signalled when the interlocks are actuated and at the end of the roll. 7.Facility for data storage and downloading to PC, for production statistics, is provided.